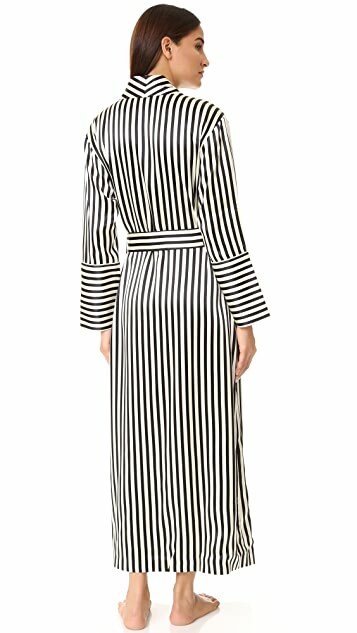 This luxe Olivia von Halle robe is detailed with two-tone stripes and a playful inner print. Open placket. Optional tie. 3 front pockets.